FEED YOUR MACHINE MORE AIR FOR MORE POWER! This kit combines the M7 Speed COLD SIDE Intercooler Elbow Kit with its very popular HOT SIDE Charge pipe. 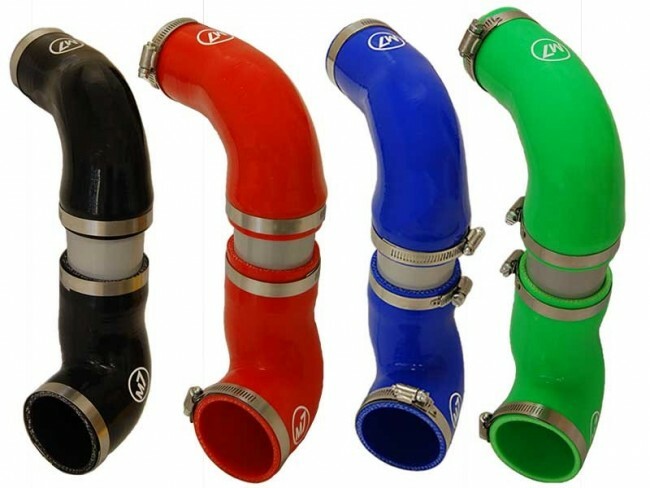 Together this intercooler pipe kit provides the highest flow and lowest pressure drop from the turbo to the throttle body. More Air = More Power! 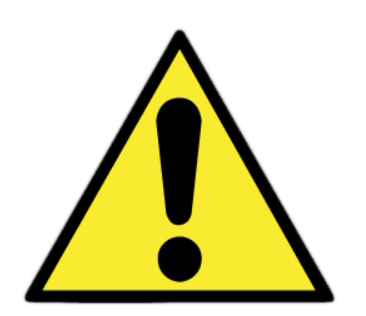 Available in four (4) popular colors BLACK, RED, BLUE and HIGHLIGHTER GREEN. 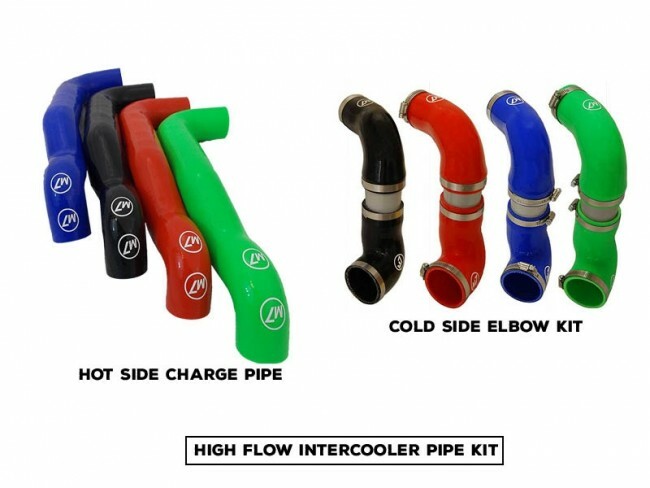 This kit combines the M7 Speed COLD SIDE Intercooler Elbow Kit with its very popular HOT SIDE Charge pipe. Together this intercooler pipe kit provides the highest flow and lowest pressure drop from the turbo to the throttle body. More Air = More Power! Made from high quality four (4) ply fabric reinforced 100% silicone material and available in four (4) popular colors BLACK, RED, BLUE and HIGHLIGHTER GREEN. In addition to better power and throttle response this kit adds a handsome finished under hood appearance to your pride and joy and eliminates high boost failures seen when using the OE parts. And finally the M7 kit eliminates the OE hote side muffler and cold side sound chamber increasing throttle response and greater mid-range to top-end power. 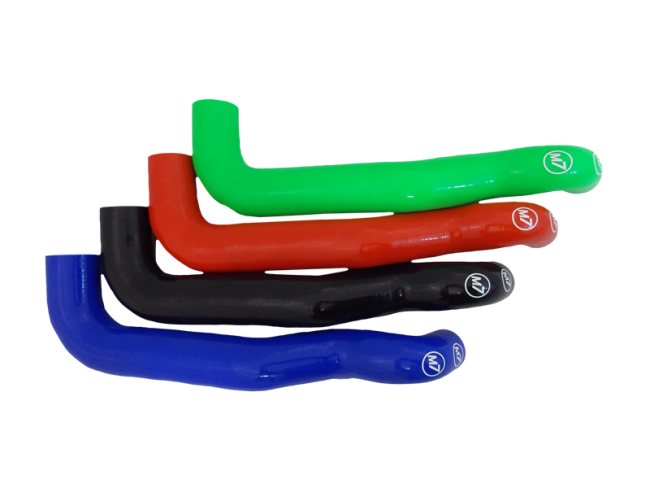 The kit comes complete with four (6) high quality lined stainless steel clamps, one (1) hot side charge pipe, two (2) custom formed silicone elbows and one (1) interconnecting aluminum tube with slip proof retaining beads. Easy to install by any moderately skilled DIY’er using basic hand tools.